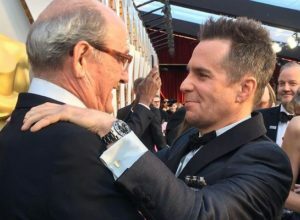 Sunday night, many of the major names from the world of film descended on Los Angeles for the 90th installment of the Academy Awards. Once again, I was interested in what watches were worn by today’s hottest stars. From an Apple watch to a Rolex, just about all of the bases were covered. Rolex was once again a sponsor of the Oscars, designing the evening’s green room, where they also played host. 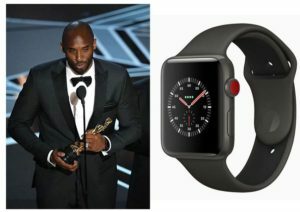 NBA great Kobe Bryant wore an Apple Watch Series 3 to the 90th Academy Awards. Bryant’s Dear Basketball, which he wrote and narrated, took home top honors for Best Animated Short Film. Best Supporting Actor winner Sam Rockwell,wore his Rolex GMT Master II Ref. 16710 with black bezel. This is the version of the GMT Master that preceded the current generation of Cerachrom-bezeled GMTs. He took home an Academy Award for his performance in Three Billboards Outside Ebbing, Missouri. 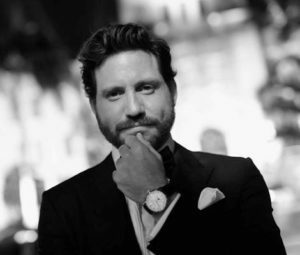 Edgar Ramirez, best known for is roles the series Carlos and the film Zero Dark Thirty, was spotted wearing the new Traditionelle Complete Calendar from Vacheron Constantin in rose gold, a 2018 SIHH debut. This calendar watch runs on Vacheron’s in-house Caliber 2460 QCL and is equipped to indicate the day, the date, the moon phase, and the month, in addition to the time. 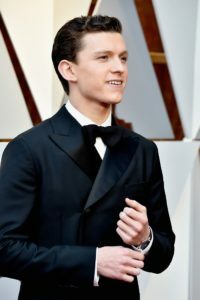 Spiderman star Tom Holland wore a 38mm skeletonized Piajet wristwatch. 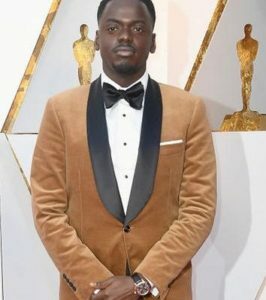 Daniel Kaluuya had a starring role in the movie Get Out and walked the red carpet wearing this rose gold IWC Ingenieur Chronograph. 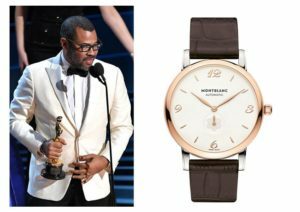 Get Out writer and director Jordan Peele, previously of Key & Peele fame, hit the red carpet wearing a simple dress watch from Montblanc. 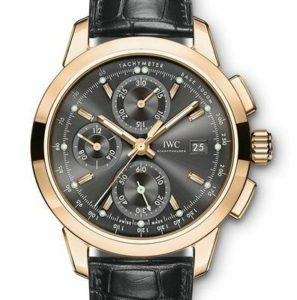 The 39mm time-only automatic wristwatch features a case made from 18-karat gold . Peele won his first Academy Award for writing the original screenplay for the horror film Get Out. 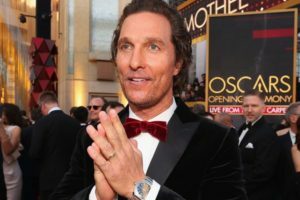 Academy Award winner Matthew McConaughey wore a stainless steel Octo Roma to the Oscars. 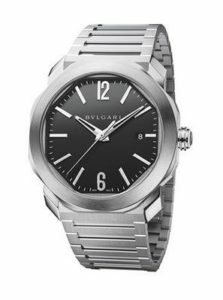 This is from a watch family that has really caught on with enthusiasts in recent years, largely owing to its great geometric case shape and bracelets. Timothée Chalamet wore the Jaeger-LeCoultre Reverso Tribute Duoface on the red carpet. 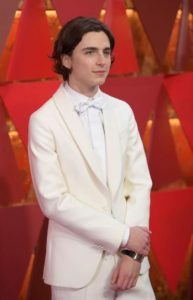 Chalamet was nominated for his role in Call Me by Your Name. The actor also appeared in Lady Bird. Gary Oldman won the Best Actor award for his portrayal of Winston Churchill in Darkest Hour, completing the hat-trick of Oscar, Golden Globe and BAFTA awards for his performance. 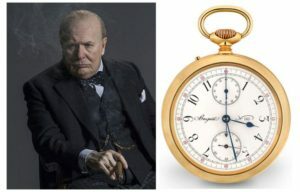 Breguet created the replica of Winston Churchill’s original pocket watch specifically for the movie. 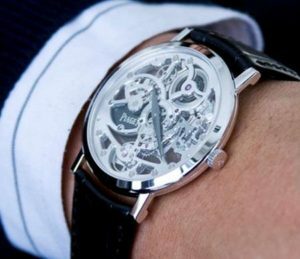 While the watch was cosmetically as accurate as possible, the split-seconds, minute repeating grand complication was not re-created. Swiss luxury watch brand Rolex has returned for the third year to design and host The Greenroom backstage at the Dolby Theater. Each year, its in-house design team creates a new world inside the 100-square-foot space. This year, the theme is a chic Swiss Alps chalet with virtual windows looking out onto the Matterhorn. Rolex has a long history in cinema via the appearance of its watches in countless films, and in 2017, the brand forged a partnership with the Academy of Motion Picture Arts and Sciences, both as a sponsor of the Oscars as well as founding supporter of the Academy Museum of Motion Pictures, due to open next year. 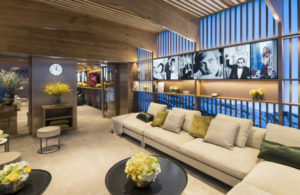 The 2018 Greenroom, hosted and designed by Rolex. Thanks for posting this! 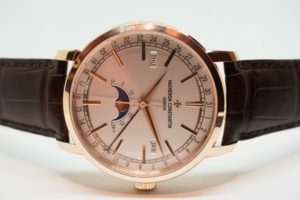 I was amazed at the various opinions on Hodinkee’s post about which watch is acceptable to wear with formal wear. Really. This IS 2018! I wear my Sub with a tux – but then again, for me, a tux is considered work clothes . 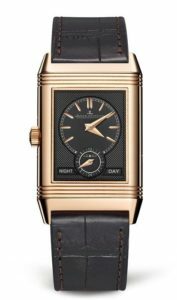 Mark, I have never heard why the Reverso Tribute Duo with the face that reads “night” and “day” on the bottom, (identical to the one in the article), has the stem on the left. Every other Duoface model is normal with the stem on the right. Even if you flipped it over to have the stem on the right you would not be able to see the hands when setting. First time I noticed it I thought the picture had been reversed but not the case, (no pun intended). What is your guess? Nice looking wrist watches but my favorite (being a pocket watch collector) is the repro of Sir Winston Churchills pocket watch. Apple Watch among all these great watch’s is amazing, you really can wear one anywhere and it fits in. One of my favorite watches for sure. 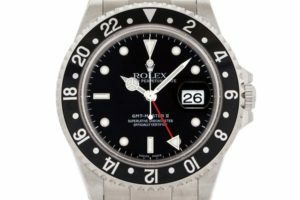 All beautiful watches,but Mark,in your opinion,which of these watches would be the most difficult to work on and repair? Great article! I rarely post any comments on social media, but I enjoy seeing watches I had no idea existed. I am by no means a connoisseur in the subject but I do enjoy seeing the craftsmanship and the technology. Thanks again !